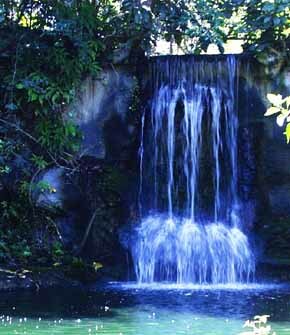 On all of Grand Bahama Island there is no natural setting as beautiful as that of Garden of the Groves. Situated on 12 lush, tropical acres, Garden of the Groves was built in 1973 and dedicated to Bahamians by Wallace and Georgette Groves who founded Freeport. Of this Eco-tourist attraction Wallace once said, ? I feel that it is a most beautiful place, perhaps even the most beautiful spot in the Bahamas?. With it?s four cascading waterfalls, exotic birds, alligators, and numerous paths surrounded by lakes it is hard for visitors to fathom that they are a mere 15 minutes from downtown. Over the past 28 years Garden of the Groves has not only been applauded for their commitment to preserving wildlife in a natural setting, but for their increasing fame for providing a beautiful atmosphere in which to get married. Gardens of the Grove boasts an array of wildlife. Guests can visit the American Alligator Exhibit, a 250 foot exhibit that is home to these mysterious animals. Special alligator feedings are held at 11:15 am on Mondays, Wednesdays and Fridays. In an effort to steep up environmental awareness programs that are currently being taught in Bahamian schools, the staff at Garden of the Groves have recently adopted two Bahamian raccoons, Froot and Loop. Children will love the Kid Zone which features a petting zoo. 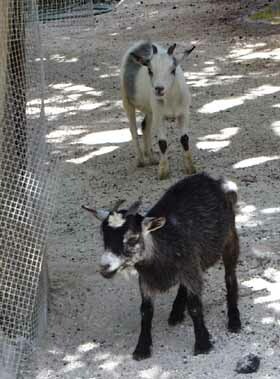 Here kids can feed and learn about animals such as African Pigmy goats and Vietnamese pot bellied pigs. Feed stations are also located throughout the gardens so guests can take advantage of the opportunity to feed exotic fish, ducks, and geese. Tourists are also able to catch these unique experiences on film. 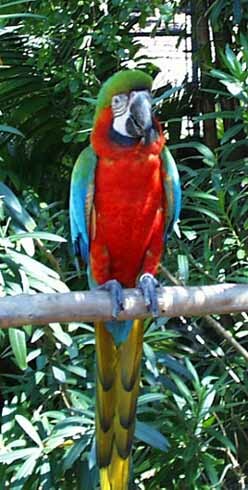 Photographers will take pictures of guests with Julia, a cockatoo or Amber a beautiful Harlequin Macaw. Over 200 migrating and local birds, iguanas, and curly-tailed lizards can also be found throughout the gardens. Garden of the Groves is home to over 10,000 species of plants, flowers and trees. Many are native to the Bahamas while some are brought in from other exotic locations from around the world. 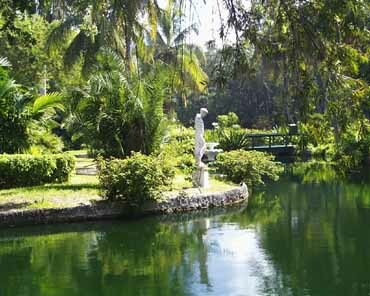 Winding paths will lead visitors around beautiful lakes stocked with tropical fish. A replica of a typical Bahamian house also sits on the property. Fern Gully, which is 400 feet in length and 30 feet below see level, was designed in order to protect the ferns from the natural harsh sunlight. This area is the perfect spot to spend a romantic afternoon. Over the past 28 years couples from around the world have made the trip to Garden of the Groves to say, ?I do?. Love birds have the luxury of choosing from one of many places to profess their love for each other. Family and friends can witness the couple?s matrimony in the historical Bahamian Chapel, in the Grecian style gazebo, besides the cascading waterfalls of from any other flora filled location on the property. Professional wedding coordinators can help plan everything from the invitations to a beautiful songbird that will serenade the couple down the aisle. Garden of the Groves is located on the corner of Magellan Drive and Midshipmann Road on Grand Bahama Island. It is open Monday thru Saturday from 9 a.m. until 4 p.m. and Sundays from 10 a.m. until 4 p.m. Admission is $3.95 for children 3 thru 10 and $9.95 for adults. For more information about Garden of the Groves please call 242-373-5668.